Hello there! I’m Lisa and I usually blog over at Everyday with Lisa. I am very excited to be guest posting on Tattered to Taylored! 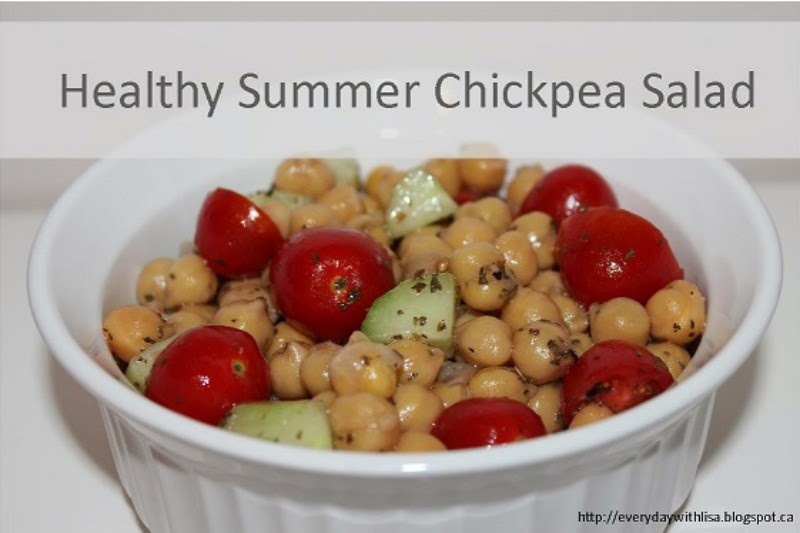 For today’s post I wanted to share one of my favorite summer recipes – Healthy Summer Chickpea Salad. It’s light, healthy, and delicious! The original recipe is from allrecipes.ca but I have modified it and made it my own. The best part? It only takes 15 minutes to make! 1. 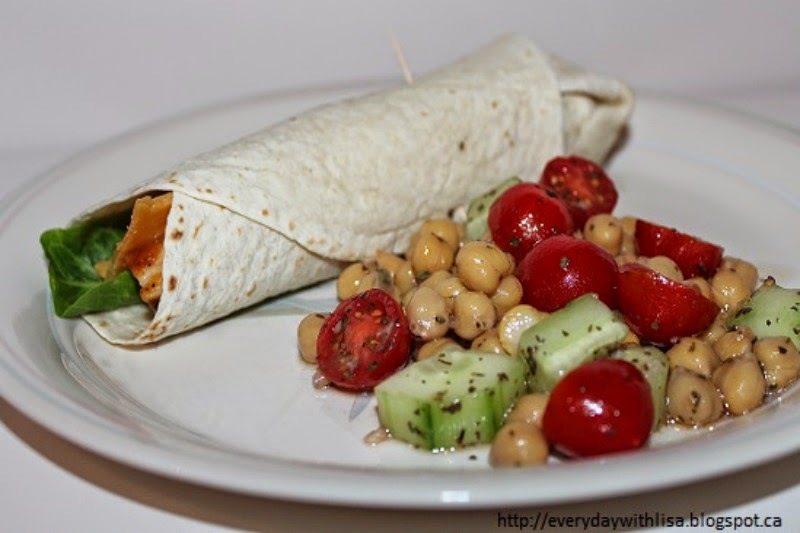 In a large bowl, combine the chickpeas, tomatoes, cucumber, and basil. If you are adding any other vegetables you can add them here as well. 2. Put honey in a small glass bowl; heat in microwave 30 seconds. Stir garlic, red wine vinegar, olive oil, black pepper, and salt with the honey to make a dressing; pour over the chickpea salad and toss to coat. Be careful when removing the honey from the microwave; it’s hot! 3. Serve immediately or cover and refrigerate for later use. This salad will keep for up to three days. The salad itself it great for a lunch on its own, for a picnic or you can serve as a side dish to things like fajitas. Thanks so much for stopping by and sharing this tasty recipe Lisa! 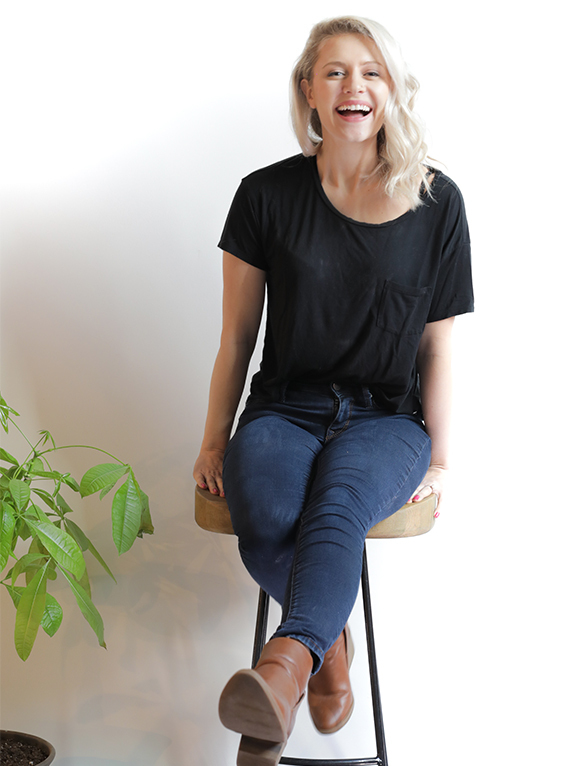 If you'd like to follow Everyday with Lisa, you can check her out in all these fun places! Until tomorrow friends!